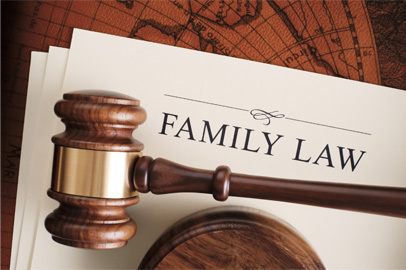 McNabney Legal Services, provides skilled professional legal representation in the area of family law. We take great pride in our ability to resolve our clients’ most difficult legal problems. We want our clients to have peace of mind when we are on the job. Ronald L. McNabney recognizes that it can be confusing and frustrating for individuals going through a divorce or any of a number of domestic relations issues. You should be treated fairly and professionally. Ronald has successfully represented individuals going through divorces or disputes concerning their children for most of his 40 years. If you have been charged with a crime, or if you are facing revocation of probation, you need a lawyer that will work with you and represent your interests. Ronald L. McNabney will use his training and experience as a former felony prosecutor to help and assist those charged in the criminal justice system. The Indiana probate system allows for several different types of administration of estates. Since starting his practice in 1976, Ronald has represented individuals who are going through this difficult process. Each set of circumstances needs to be independently evaluated so that you can understand what your options are and how to accomplish these goals. McNabney Legal Services is a Family Law Firm representing individuals and families in Madison County, including cities of Pendleton, Huntsville, Alexandria, Frankton, Elwood, Summitville, Chesterfield, Lapel, Edgewood, Alliance, Emporia, Markleville, Hardscrabble, New Columbus, Ingalls and Alfont, Indiana.